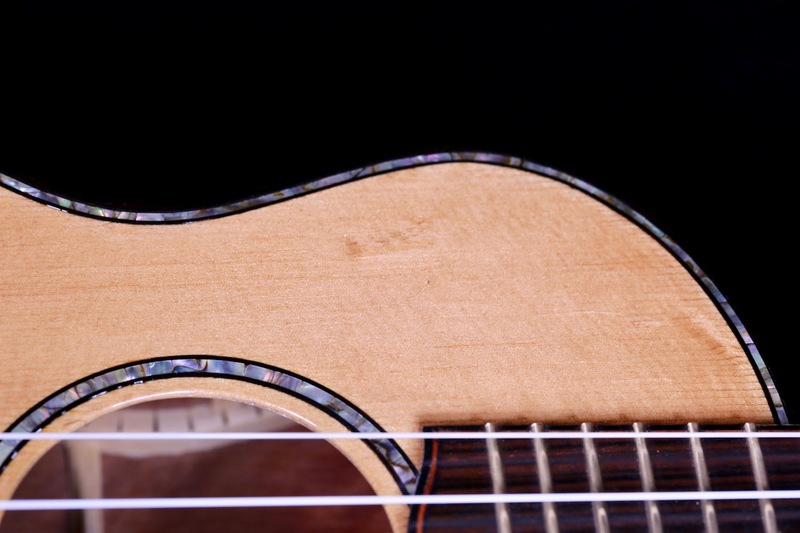 Meticulously cared for preowned Custom Scheurenbrand Ukulele. A work of art! Custom R.W. 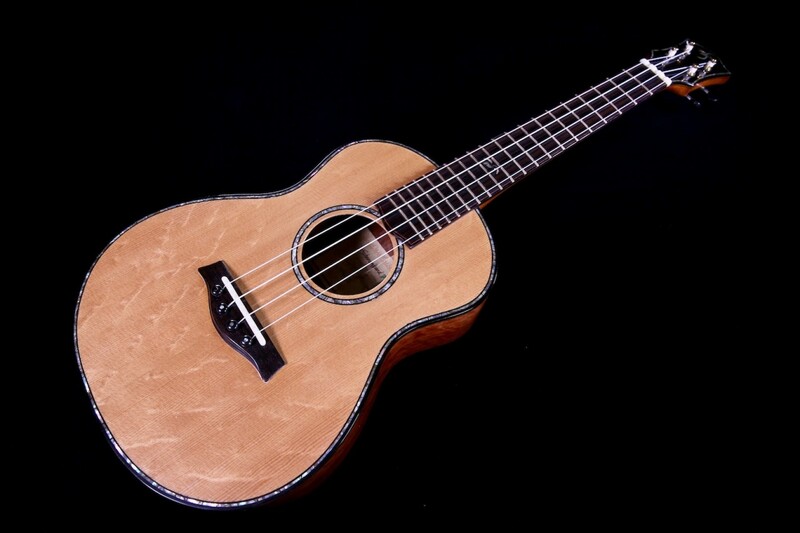 Scheurenbrand Tenor Ukulele built on the island of Oahu, HI. 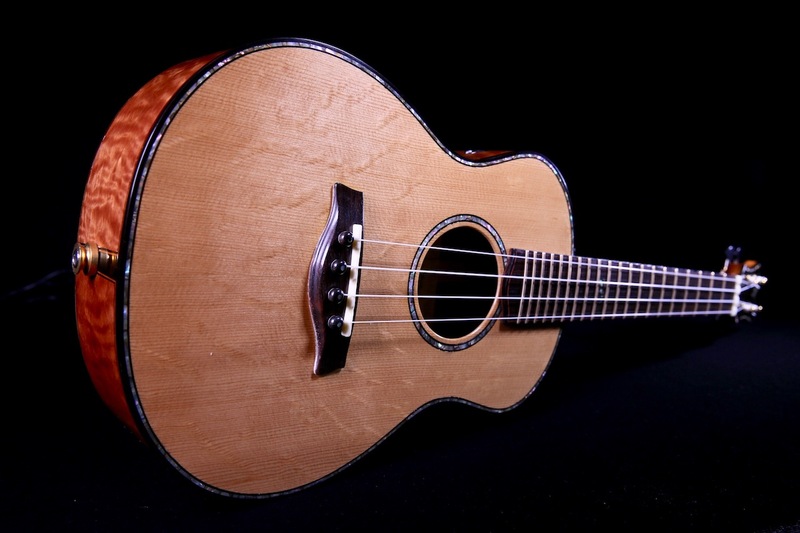 Rollo builds a very low number of instruments per year but some of the most sought after full custom ukuleles out of Hawaii. 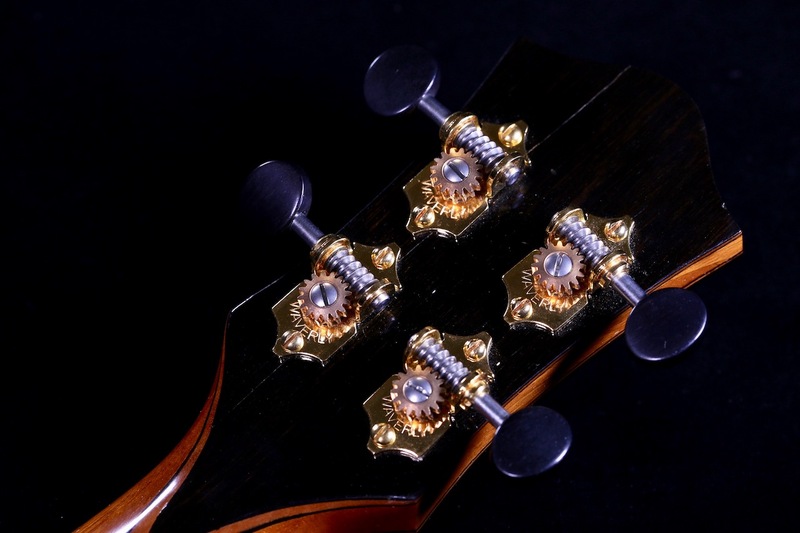 The low number of instruments handcrafted per year is a testimony to the remarkably high level of quality and meticulous care he invests in to each piece, yielding both an aesthetically beautiful instrument with remarkable tones. Absolutely incredible in all aspects of construction and sound. 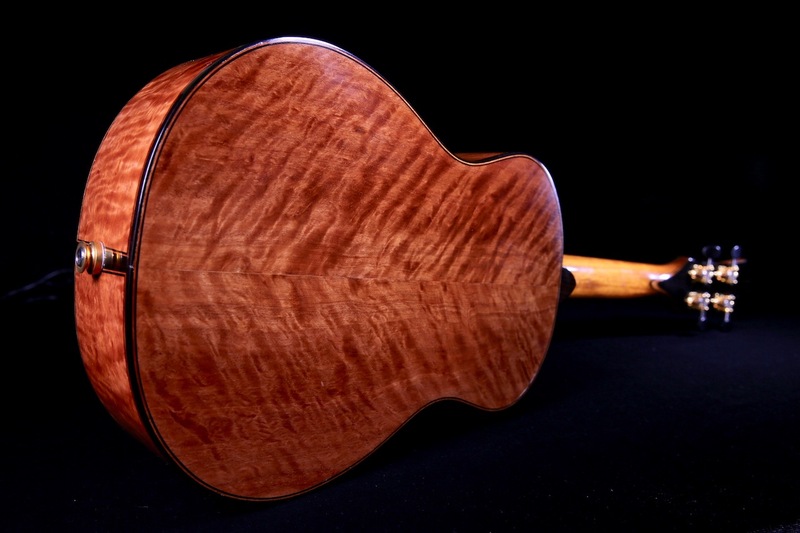 Premium master grade Longan wood back and sides harvested in Hawaii with a gorgeous Bear Claw Sitka spruce soundboard. 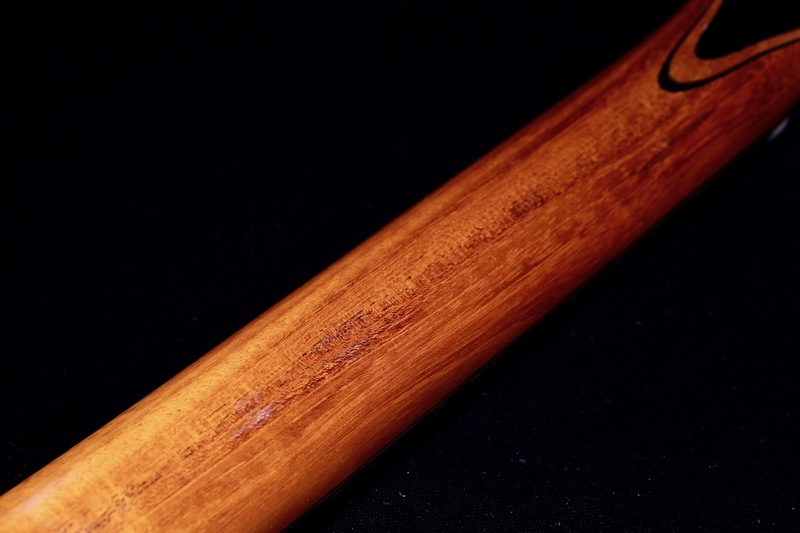 Hawaiian grown Longan wood, also known as ‘Dragon’s Eye’, is a wood that is frequently known as “the little brother of lychee”. 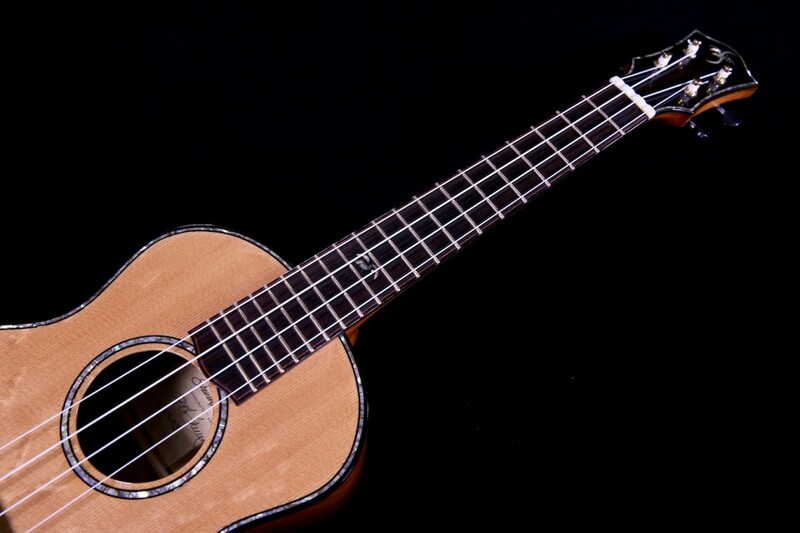 It is infrequently used in guitar or ukulele luthiery but in the right hands it produces an absolutely wonderful sound. 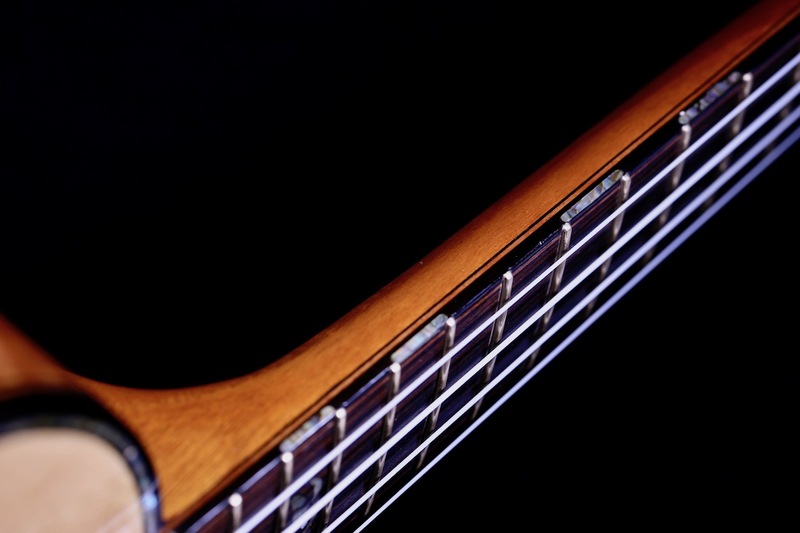 Classic Ebony wood top and back binding with matching bound fretboard and bound headstock. Radiused bone nut and saddle. 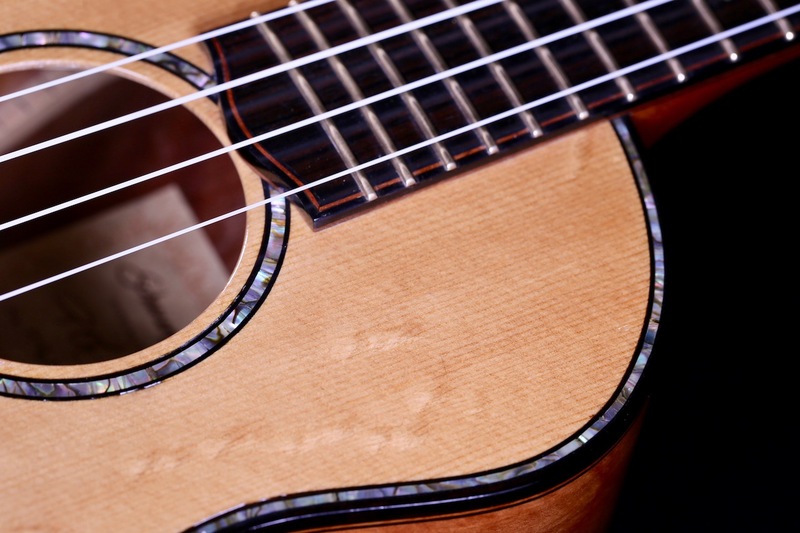 Radiused Macassar Ebony wood fretboard and bridge with ebony wood bridge pins and paua shell inlay. 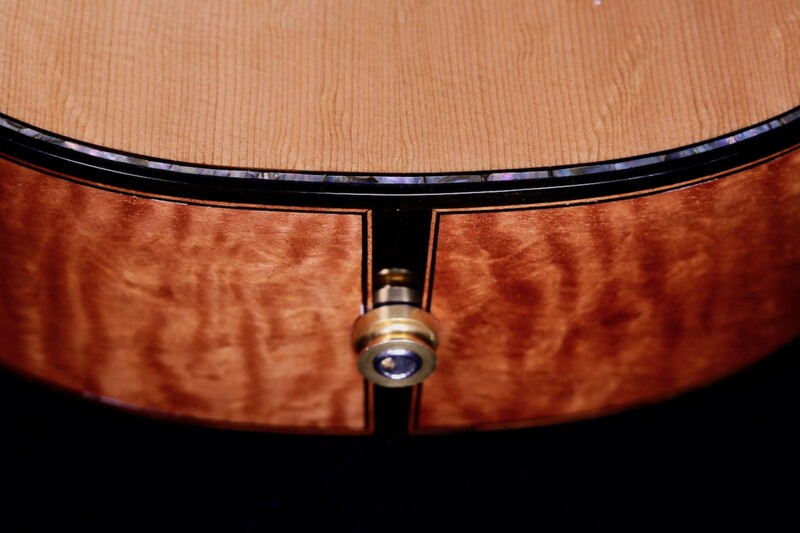 Paua shell position markers have been inlaid on the bound fretboard for a top down perspective. 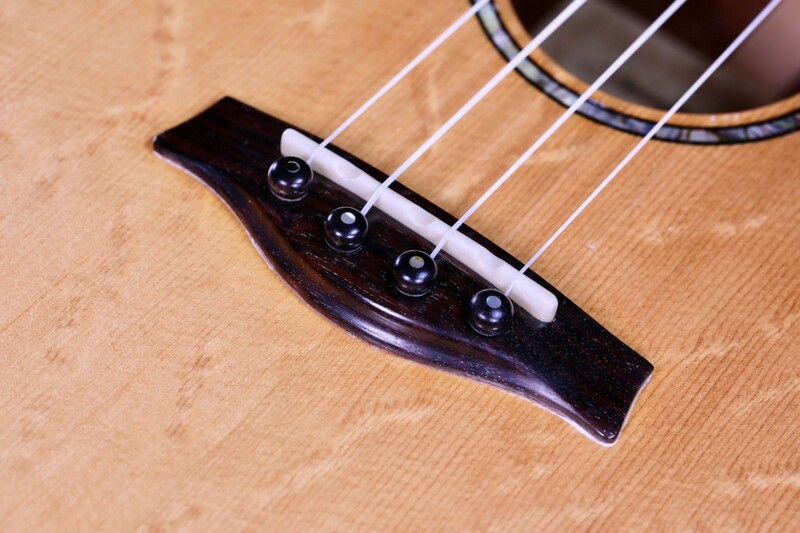 Professional K & K pick up installed for quick plug-and-play. 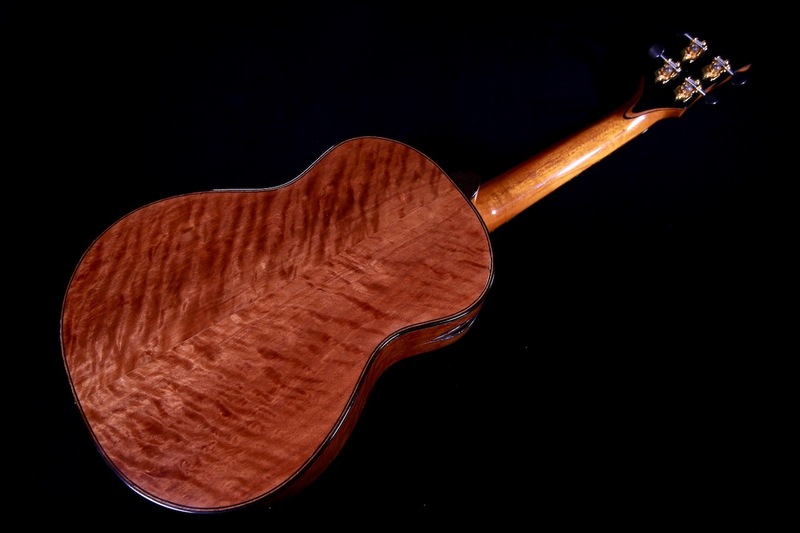 Beautiful paua shell rosette with Hawaiian Milo wood and Koa wood accent lines around the sound hole and top and side of the instrument for a nice subtle but elegant accent to the piece. 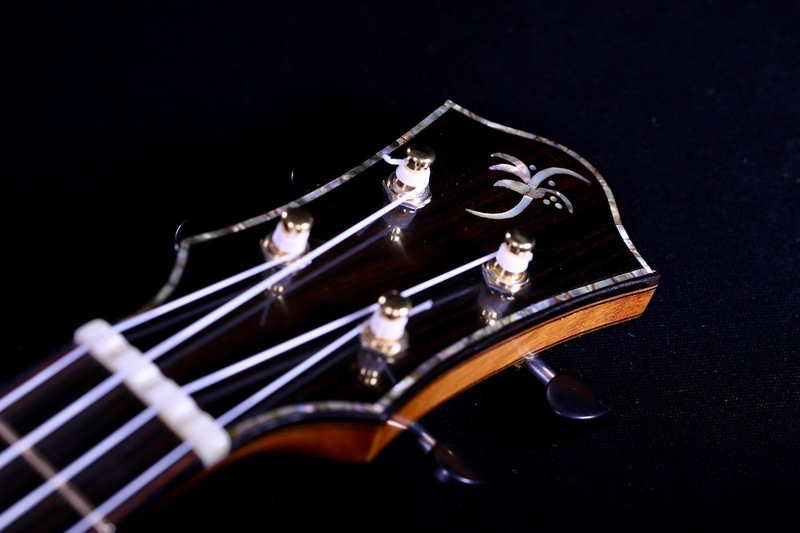 Ebony wood veneered headstock with classy Scheurenbrand logo inlaid from paua shell. Additional side sound port for monitor-like experience. Mahogany wood neck, Jescar EVO Gold fretwire and fine-tune Waverly tuners for precise tuning and classic appeal. Nitrocellulose high-gloss finish. Incredible tone with perfect intonation. 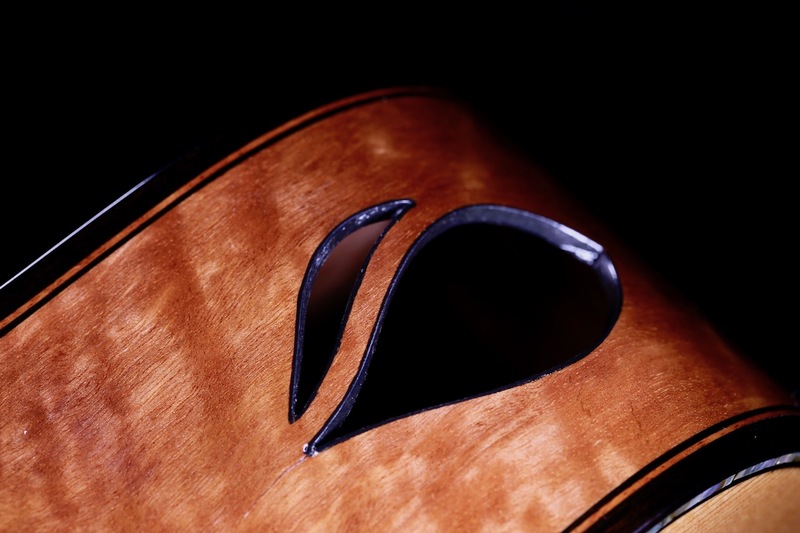 Scheurenbrand instruments are extremely rare as only a few instruments are made each year. They are a testament to the skill level of R.W. Scheurenbrand with no compromise to the materials used and the highest regard and attention to detail . Nice balanced low end and mid range with crisp highs as well. Wonderful sustain and clarity with a mature open sound. 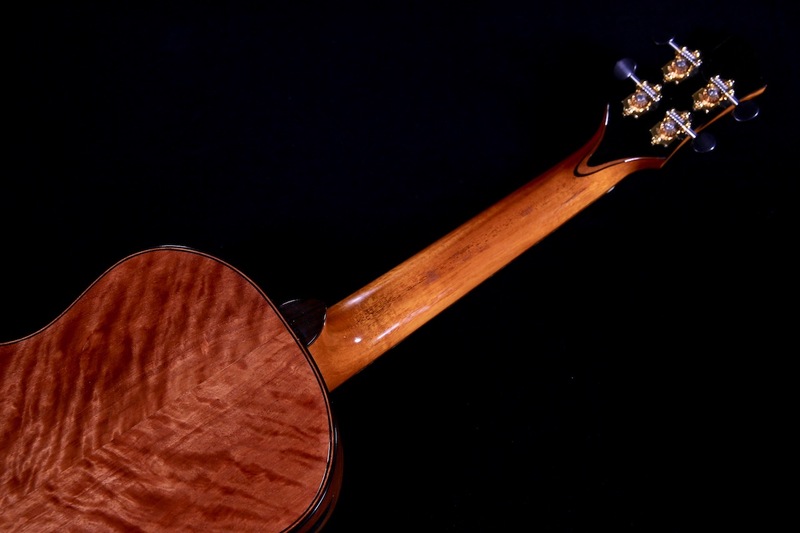 An extremely rare piece from one of Hawaii’s finest luthiers, Rollo Scheurenbrand, this beautiful piece is a wonderful example of functional art that is both aesthetically and tonally appealing.